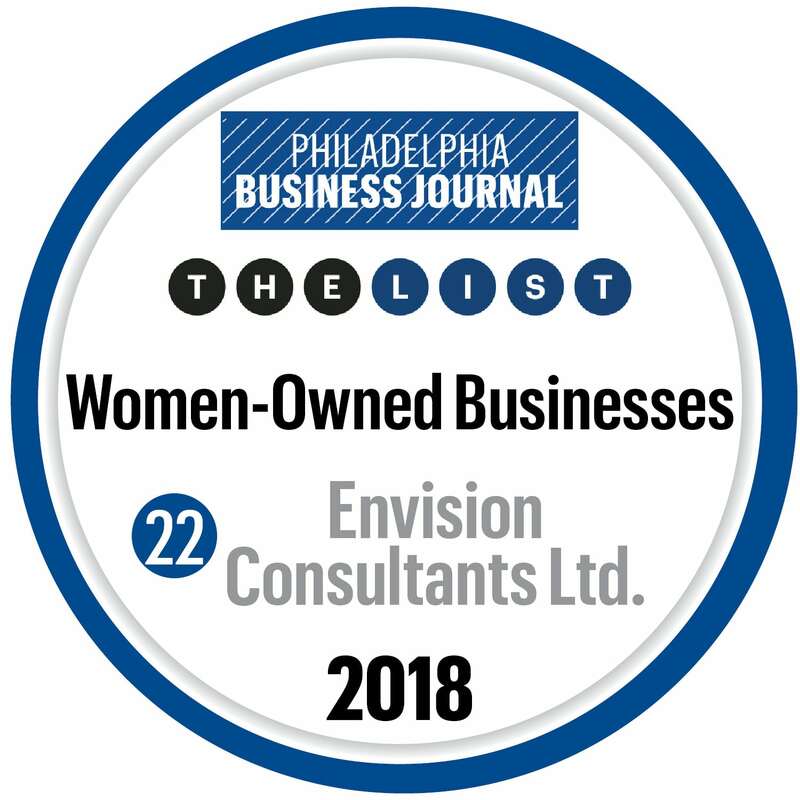 October 2018 – Envision ranked #22 on the Philadelphia Business Journal’s Women Owned Businesses List. Strategic growth across the company’s key service lines helped move Envision up nine spots over last year’s ranking, #31. The list appeared in the September 14, 2018 edition. It ranks firms by 2017 company-wide revenue.